Valentines Day: Some people love it; some hate it. 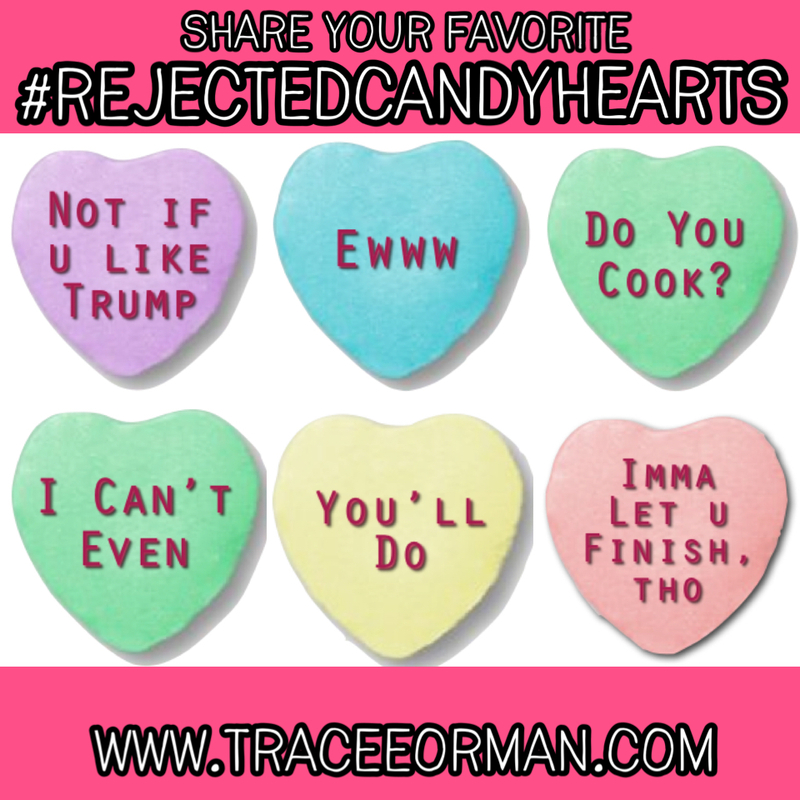 Whatever your preference, everyone seems to get a laugh from #RejectedCandyHearts. 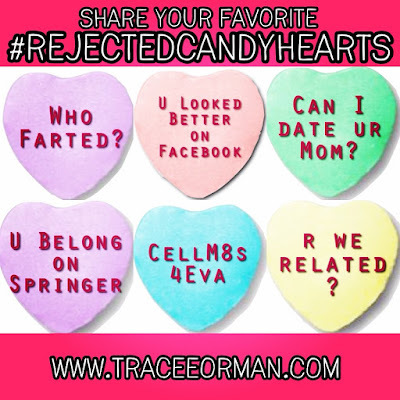 These are the words and phrases that didn't make the cut on the popular Valentine conversation hearts. 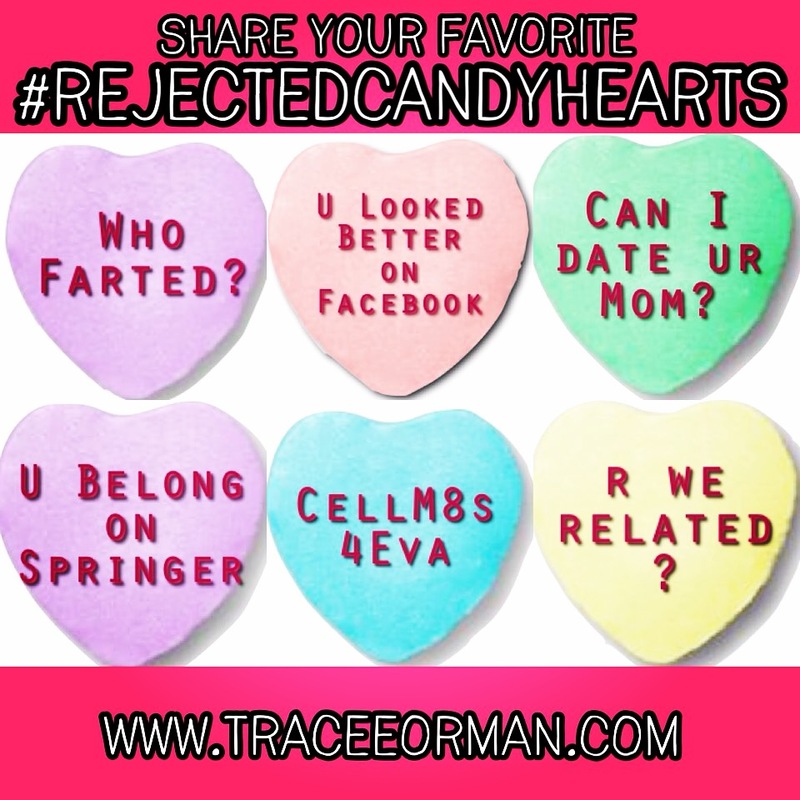 You can find examples with a free download in my TpT store and on Twitter using the hashtag #rejectedcandyhearts. DISCLAIMER: Some of these can be crude and inappropriate, of course, so if you share with your students, use your own discretion. Students love to come up with these sayings if you give them the opportunity. This activity is short and perfect for an exit slip or bell ringer (last five or first five minutes of class). Make the assignment related to your content area and watch the creativity flow in your classroom. ELA: For example, if you teach English/language arts, have your students think of words/phrases for the hearts that one character would give another in the novel or story you are reading. Or use author puns, vocabulary words, and, of course, Shakespearean insults! HISTORY, SS: Current events, politics, and historical figures are all fodder for phrases. (Ask students what message Abe Lincoln would send to Jefferson Davis on a conversation heart either pre- or post-debate.) These can jump-start many class discussions related to your content. SCIENCE: Students could have a contest to see who can come up with the funniest chemical element combination or science-related pun. MATH: Have students think differently about numbers by allowing them to come up with creative equations and math-puns for the hearts. In many ways, math class is perfect for this because numbers can express thoughts and feelings with brevity. Whatever your content area, your students will love this brief exercise in creativity. The best part? It can be done any time (though before or after Valentine's Day seems logical). "Before he was killed, Julius Caesar received a package of conversation candy hearts from the Senate. What messages were on them?" 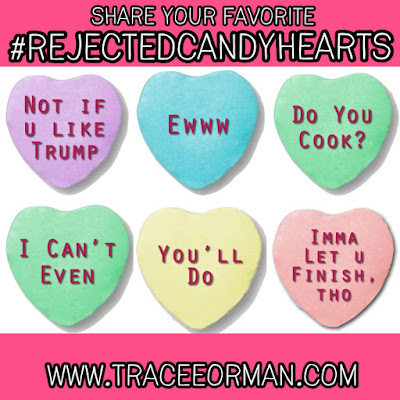 Please share your favorite #RejectedCandyHearts messages in the comments below.